Seamen "Fisherman Collection" Awamori - Kampai! : Kampai! Distillery: Higa Shuzo Distillery Co., Ltd.
Don’t let the campy bottle art fool you. This is a very nice, easy to drink, and richly flavorful Awamori. 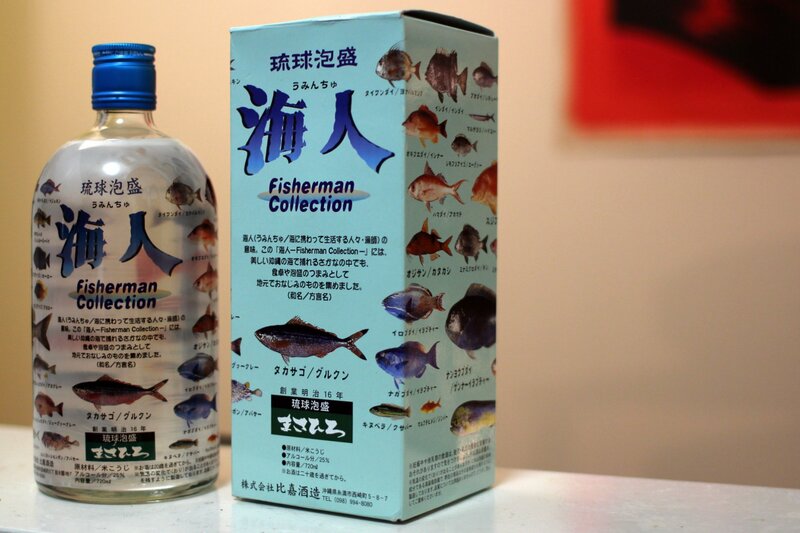 The bottle is one of three different labels we were able to find for this shochu in the “Fisherman’s Collection”… makes you wonder if the point is for fishermen to take this bottle on the boat so they can identify their catch. It starts off unexpectedly with an earthy melon nose. Earthy melon from a style of shochu that usually has a scent a few doors down from a traditional Chinese medicine shop. 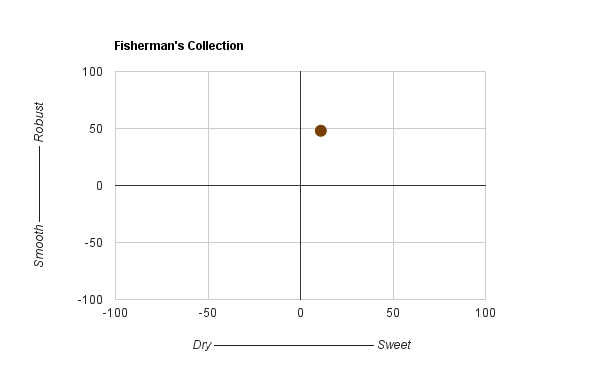 The first taste is sweetness – a honeyed mouthfeel. Not sticky exactly, but sweet and tacky. The sweetness remains before dissipating into a spiced herbal finish. It’s a really interesting example of the variety since I’ve come to expect Awamori to be richly herbal, aromatic. Sweet is rarely a word that enters the discussion. Normally I avoid oyuwari (hot water) with Awamori, but with this example it was pleasant enough if you’re in the mood for something warm. Unfortunately, this Awamori is not available in the U.S. We picked up this bottle in a liquor store in Kaohsiung, a city of 2.9 people in southern Taiwan. If you happen to see it somewhere overseas – the label is pretty memorable – it’s probably worth a try if you’re exploring Awamori. I found it a pleasant example of this style of shochu. While many Awamori can be harsh and herbal, fit only for those who enjoy that type of spirit, this is much easier drinker. I shared this bottle with friends who are usually solid mugi drinkers (if they don’t stick with beer at izakayas) and they found this palatable even compared to some imos. Aka Kirishima is a seasonal sweet potato shochu from Kirishima Shuzo, the producer of the best selling shochu in Japan, Kuro Kirishima. Much as iichiko put Oita on the map as a producer of barley shochu to rival Iki Island (more barley shochu is now produced in Oita than in the traditional home of barley shochu), Kirishima’s products put Miyazaki on the map as a rival to Kagoshima’s dominance as the home of sweet potato shochus.